Dr. Davit is an Assistant Professor in the Department of Plastic Surgery at the University of Pittsburgh / UPMC at Children’s Hospital of Pittsburgh of UPMC. He is dedicated to the practice of pediatric plastic surgery, specializing in pediatric hand surgery, cleft surgery, pediatric skin tumors, and pediatric wound care. He earned his Bachelor of Science degree and his Doctor of Medicine degree from Wake Forest University. Following medical school, Dr. Davit trained in General Surgery at the University of Tennessee – Chattanooga Unit / Erlanger Hospital program in Chattanooga, TN under Dr. Philip Burns, graduating from the program in 2006. During his medical school and residency years, his exposure to plastic and reconstructive surgery training programs and a volunteer opportunity with Operation Smile fostered a desire in him to become a pediatric plastic surgeon. He matched into the plastic surgery residency program in Chattanooga, where he graduated in 2008. After completing plastic surgery residency, Dr. Davit practiced general plastic / hand surgery in Johnstown, PA, where he was reunited with his wife while she completed her own general surgery training. Sticking with his interests, he then applied for and was accepted into the Craniofacial / Pediatric Plastic Surgery program at Children’s Hospital of Pittsburgh of UPMC to train under Dr. Joseph E. Losee. Dr. Davit then continued following his desire to become a hand surgeon by completing his fellowship in hand surgery, also at the University of Pittsburgh, graduating in 2013. Upon graduating from fellowship, Dr. Davit returned to Children’s Hospital of Pittsburgh of UPMC, and is the Director of the Pediatric Hand Surgery Clinic and the Pediatric Wound Clinic for the Division of Pediatric Plastic Surgery. He has worked extensively with Drs. John Kirwood, Marcus Malek, and Robin Gehris to co-develop the Pediatric Melanoma / Skin Tumor Group at Children’s Hospital of Pittsburgh of UPMC. Dr. Davit is board certified by the American Board of Surgery and the American Board of Plastic Surgery. He holds a Certificate of Added Qualifications in Hand Surgery from the American Board of Plastic Surgery. He is an Active Member of the American Society of Plastic Surgeons, The American Association of Pediatric Plastic Surgeons, the American Association for Hand Surgery, and the American Society of Maxillofacial Surgeons. 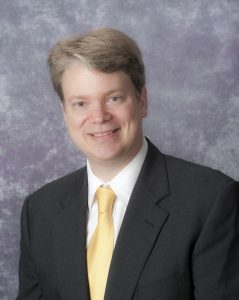 His research interests include pediatric hand trauma, congenital hand differences, pediatric melanoma / skin tumors, pediatric linear scleroderma, and cleft lip and palate surgery.